You will no doubt have watched in awe as the stunning white horses of the Spanish Riding School perform perfect in-hand piaffe and passage during their displays. 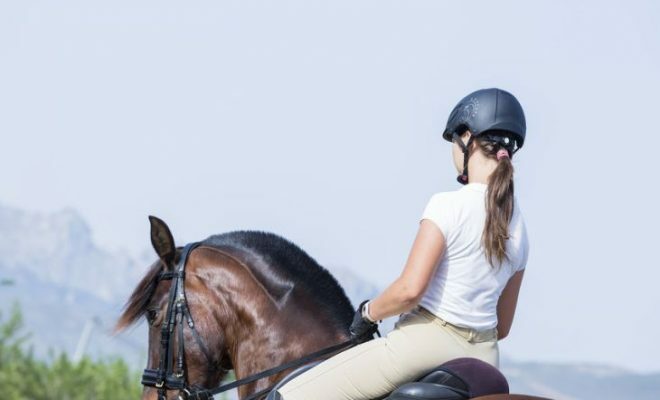 These exercises are not just for the benefit of the crowd; they are a really effective way of developing collection and engagement without the hindrance of the rider’s weight. 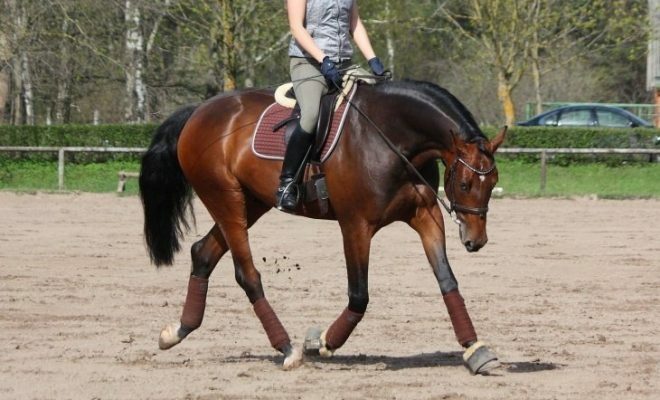 But it’s not just advanced dressage horses that benefit from in-hand work. 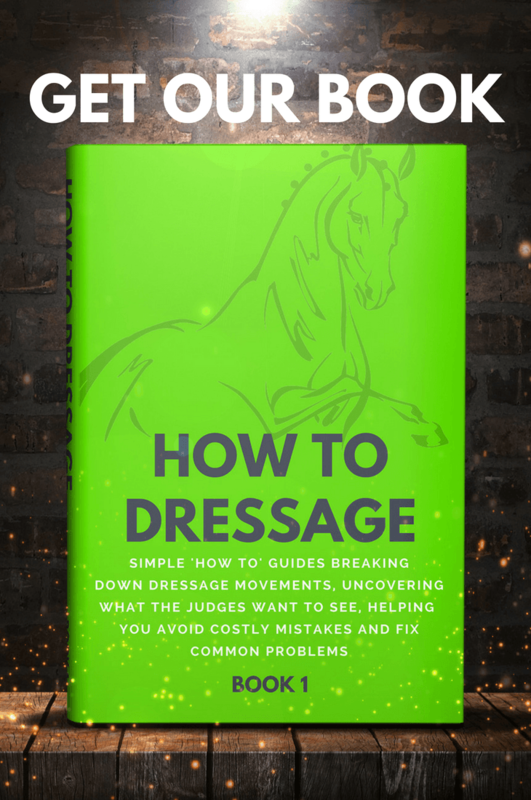 Basic in-hand training is a great, fun way to teach your young dressage horse some useful exercises before you attempt them under saddle and to offer him something different in his schooling programme. It’s easier to use a surcingle rather than a saddle for in-hand work. A good quality surcingle has an assortment of rings placed at varying heights. This allows you to easily attach the side reins in different positions, depending on the contact that you want to achieve. Put the bridle on first, and make sure that you have unhindered access to the bit. 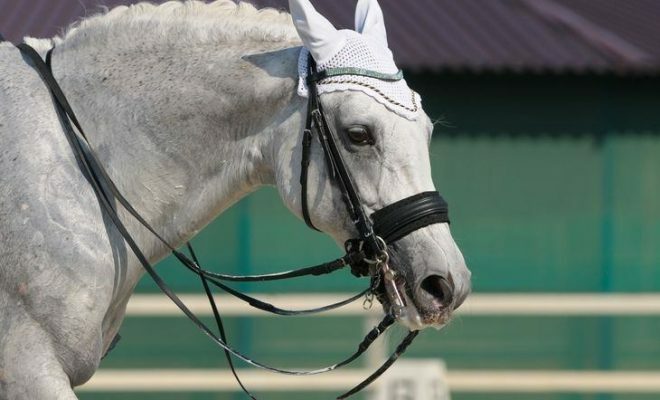 Remove the noseband from the bridle so that it does not get in the way of the cavesson. Brushing boots are a good idea, just in case your horse loses his balance and knocks himself, and you should wear gloves and a riding hat for your own safety. When you’re ready to start work in the arena, attach the side reins from the surcingle to the bit rings. 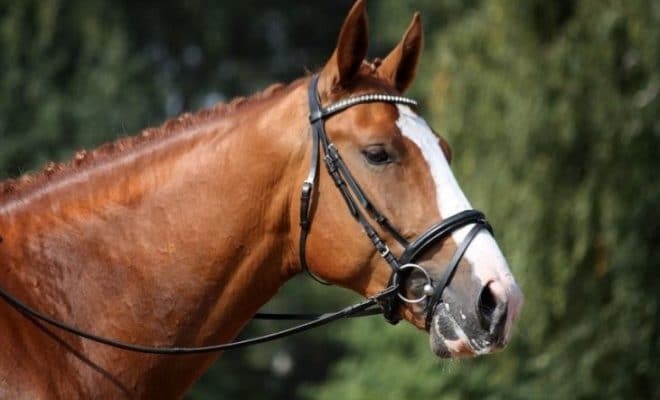 Keep them parallel to the floor so that they don’t pull your horse’s head down, and adjust the length so that your horse works forward into the bridle in a nice, open frame. His poll should be the highest point, and his face should be slightly in front of the vertical. If the side reins are too short and restrictive, he will become over-bent and will be unable to work forwards into the contact properly. Check that the girth is tight enough and the surcingle is firmly in place. Attach the lunge line to the front ring on the cavesson, and you’re ready to begin. This is the first exercise you should teach your horse in-hand. It accustoms the horse to accept the whip as an aid and helps to build his confidence. Begin on the left rein with the whip in your right hand. Position your horse against the side of the arena to help keep him straight. Don’t stand too close to your horse – you’ll need to see his body language. Tap your horse on his inside hind leg with your whip, just above his hock. This should encourage him to step under with that leg. As soon as he obliges, stop the whip aid and praise him. Now produce a square halt by asking your horse to bring his right hind leg underneath him, using the same technique. Stand at the horse’s shoulder. Give a soft half-halt with the lunge line and encourage your horse to step back by using a verbal command. If necessary, apply a slightly stronger aid. Give the horse a soft half-halt with the lunge line and touch the front of his shoulder with the whip to show him that you want him to move away from the aid. The horse should take a step backwards. 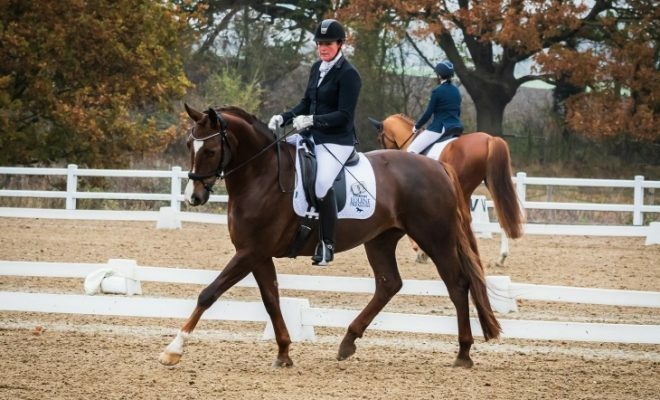 Once your horse is confident and understands these two exercises, you can combine them. Establish a square halt, rein back, and then square the halt again. This basic exercise can be used as the introduction to lateral work in-hand. 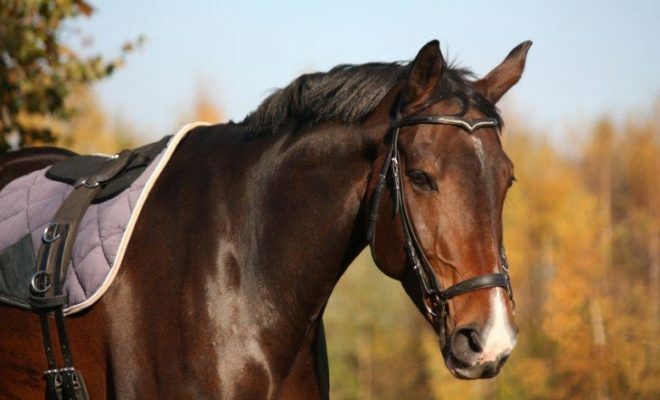 Position your horse in the centre of the school so that he can move his quarters freely. Stand to one side of your horse, near his head. Touch your horse on his flank with your whip, and step towards him as you do so. Verbally ask him to “move over”. Keep a gentle tension on the lunge line so that the horse does not walk forward. Ask for only a few steps to begin with. 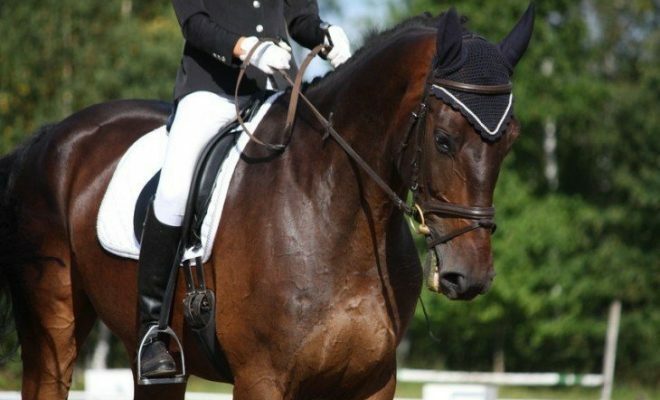 Once the horse understands what you want him to do; repeat the exercise on the other rein. Basic in-hand exercises can be used instead of lungeing and schooling to break up a horse’s work routine with something different. Keep in mind that whatever you do, the work should always be fun. Remember to praise your horse when he understands what you’re asking of him, and don’t make him sour through endless repetition.